Omgsh, give me all the gold/art deco vibes. I absolutely loved the details tied together for Brandi and Kwame's beautiful wedding at the Arizona Grand. I had been counting down the days until this couples wedding day from the moment I met them and even more so after their engagement session in Sedona (link). These two bring such a fun love and energy that you cant help but fall for them yourself. Their day was perfect and the venue gorgeous but most of all I loved their mix of friends and family. Brandi tied in her details in such a beautiful unique way. She actually used her moms wedding flowers down the isle! 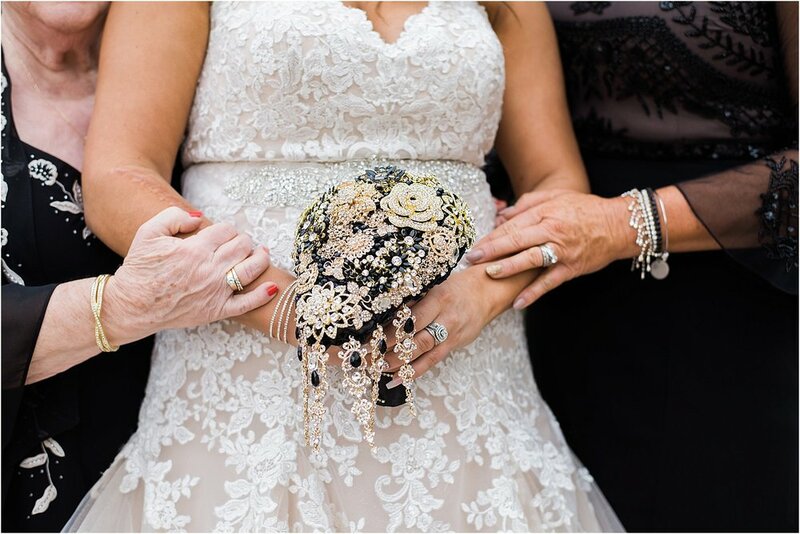 Her bridal party had feathers instead of bouquets and her something borrowed was her grandmas garter. Here's a quick peek at all the pretty, and if you're looking for some creative inspo for your own day.. Look no further! Thanks again Brandi and Kwame! Cant wait to share your full gallery with you!